Dentist Missoula: What Does a Laser Dentist Offer? What Does a Laser Dentist Offer? Bitterroot Dental now offers laser dentist services to the people of Missoula. Why would Bitterroot make this revolutionary innovation apart from their general dentistry services? Because it’s super effective and extremely precise, and it’ll make your dental procedure easier and less painful in the aftermath. Because of the finesse required, here at Bitterroot Dental, we believe that it will bring light to the fact that our dentistry services are artfully performed. 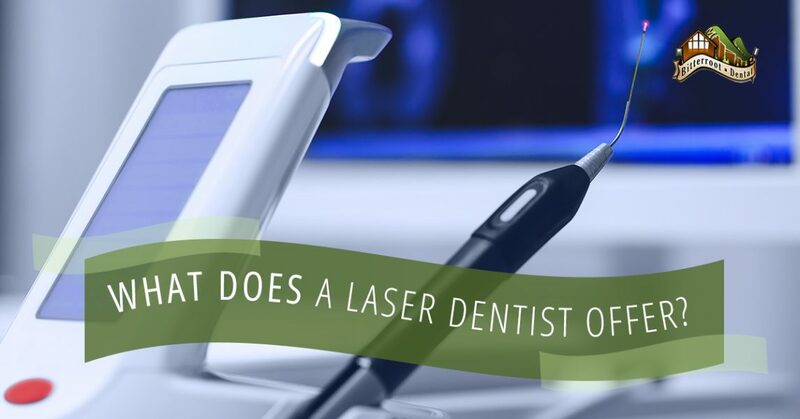 If you’re unfamiliar with the finer points of laser dentist procedures, we’re here to enlighten you. While lasers are an instrument of precision, they’re also high-tech machines that have the ability to cause harm when not used correctly. For this reason, this technological innovation has the ability to improve dental procedures only if the dentist using it understands how to control the power output and the length of exposure the tissue can handle. If done correctly, this offers this will allow for highly specific treatment plans to be executed without damaging the surrounding area. The extreme precision and care that these lasers provide, makes it ideal for anxious patients who are seeking extreme safety and comfort. At this time, only 6 percent of dentists incorporate laser technology into their treatments, and while that number is steadily climbing the service is still somewhat sparse in supply. While there are many benefits associated with the newer laser tech some of the majorly impressing ones include the fact that many of the treatments don’t even require anesthesia. Because of the pain-free and extremely precise nature of the laser technology, the small cuts that would usually be performed with a scalpel are completely painless and don’t swell the same as they would if they were created by metal. Lasers also don’t require stitches when used on soft tissue, and they completely minimize bleeding in the wound because it’s cottorized as soon as the cut is made. For the same reason, chances of infection are almost completely removed because of how quickly and cleanly the cut is made. Once the blood clots, the wound has already been sterilized halting bacteria in its tracks. Since the bacteria is vaporized and the cut is small and nearly healed at the same time it’s made, the healing process is much quicker and much less hassle than it could be. Currently, there are several types of lasers that are available for dental treatment, and various lasers are better for different treatments. This depends on the strength and the absorption characteristics that benefit a certain dental treatment procedure over another. For example, hard tissue lasers utilize a wavelength that is very absorbable by the types of calcium that you find in your teeth making it perfect to cut through tooth structures. These lasers are usually used to prep or shape the tooth in order for a good surface to perform composite bonding to remove a small amount of tooth structure. Soft tissue lasers, like the one we use here at Bitterroot Dental, is great of oxygenating protein in red blood cells. Usually called diode lasers, are usually used for cutting through soft tissue like the flesh inside your mouth like the area around your gums. The laser is a carbon-dioxide laser that minimizes damage and stimulates healing while sealing blood vessels the moment they’re cut. Many dental procedures can be completed with this form of laser. Intrigued by the pain-free and completely sterile process of laser dentistry? 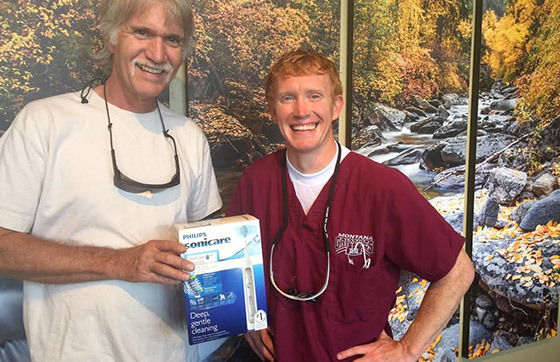 This amazing step forward in technology has rendered dental work completely painless and fast-healing. No more time spent waiting for your teeth to heal up before you can enjoy crunchy food, no tenderness to worry about when you’re biting into that juicy hot burger, just your teeth ready for when you need them. If you’re as excited about this innovation as we are, contact us to schedule your next appointment.